I posted about the American version of this set a couple of years ago. This is the European multi-language version, featuring no less than six languages (UK English, Spanish, Italian, French, Dutch, and German). 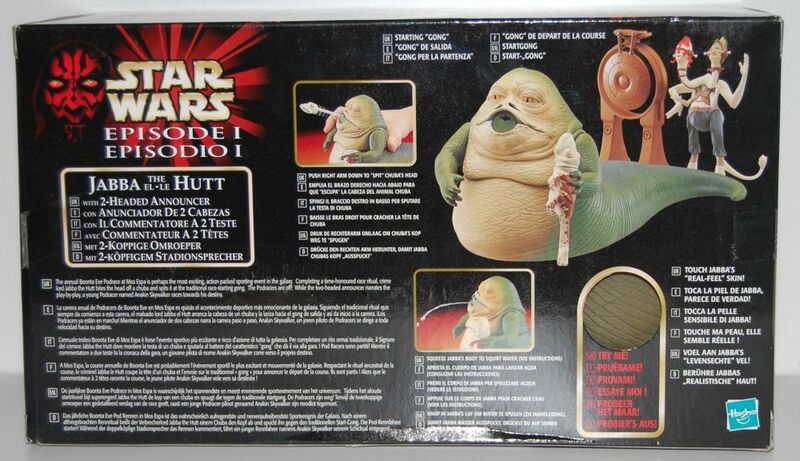 I’ve decided to try and track down different language versions of all of the Jabba figures. There’s actually not as many as you might think, since in many cases they just used the English version (perhaps with a sticker in the local language pasted on it). 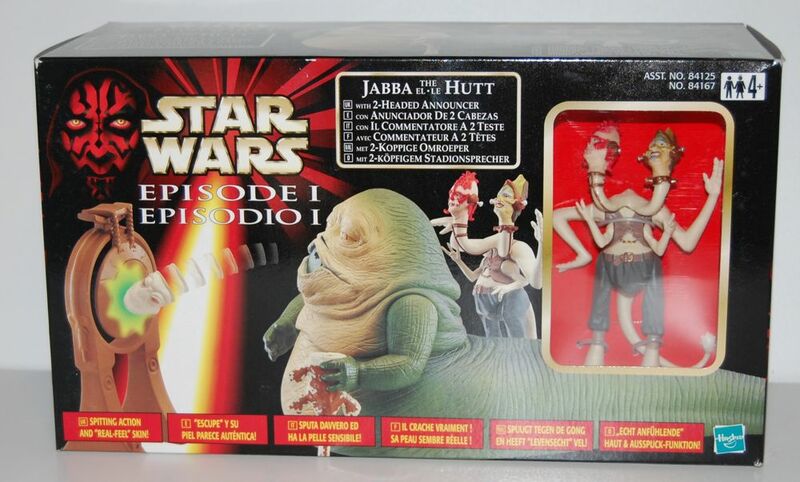 “Jabba el Hutt” and “Jabba le Hutt” have something of a different ring to them, don’t they? 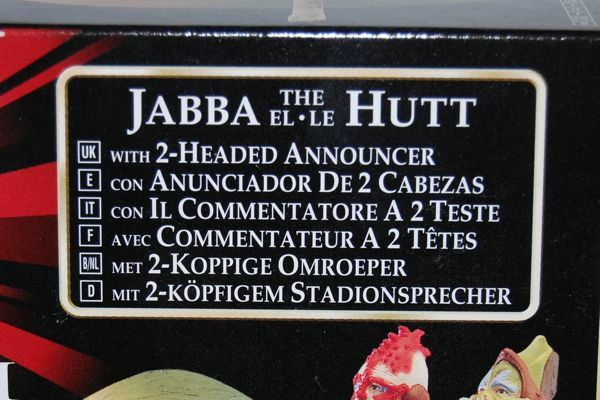 Apparently “Jabba el Hutt” is used in Spanish and “Jabba le Hutt” is used in French, while “Jabba the Hutt” is used in all of the other languages shown. I wonder why they don’t translate the “the” part in those languages as well. It might be interesting to come up with a list showing Jabba’s name in as many languages as possible. Of course most of them will just use “Jabba” and “Hutt” as they are, since they aren’t real words. The only other one I know of off-hand is Japanese: Jaba za Hatto (ジャバ・ザ・ハット). That’s just a phonetic conversion of the English words into Japanese sounds. Does anyone else know of others? I’d be interested if anyone knows of some others. What about Chinese? As a translator I’m always interested to see how they translate things into different languages. If you’ll look at the American version of this set, you can see that this one is dominated by text by comparison. The front isn’t too bad, but the back has line after line of text. Not too surprising when you have to fit six languages on there, but still. The “spitting” feature kind of ruins this figure, so it’s not my favorite, but I’ve got a bit of a connection with this set since I own some of the original design documents for it.